My first steps out of the José Martí International Airport were greeted by a humid blast of warm air seasoned with smells of heavy car exhaust. 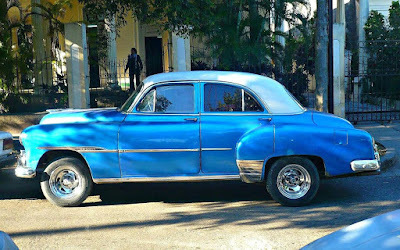 The taxi driver placed my luggage in the back of his bright blue Chevrolet Bel Air (1958) -- a deep sigh of relief -- “Where are you from, Sir?” the man asked in very broken English. “Portland, Oregon.” I replied. “Ahhh...Portland!” he said quite excitedly. I knew I was in good hands. My housing arrangement had been made back in Cancun by some questionable individuals at the airport, but that soon proved to be quite a worthwhile exchange. The house was owned by a charming old woman who had spent her career working for the Ministerio de Cultura (Cuban Ministry of Culture). Pictures of Fidel and family were seen throughout her home. She gave me a very informative background on the historical context and present state of Cuba’s housing laws, socialized medicine, and education. She asked me questions about the Pacific Northwest, as I was her first resident from the area; specifically, I shared with her our regional successes in smart growth, transportation options, sustainable design, and how Portland differentiated itself from other American cities. “You share cars? !” she said while laughing hysterically. It was no laughing matter. Despite the relative flatness of Havana’s urban landscape, bikes were hardly present as the taxi industry dominated the roadways. It was not uncommon for residents to work as part time cab drivers (good luck Uber) in addition to their main profession, as low wages force many into the industry. Moreover, the piles of rubble and potholes present on every city block made our own infrastructure debacles seem ludicrous >insert street fee joke here< . Even as relations continue to be rapidly restored here, the introduction of bikes and bikeways will take decades. Habaguanex, a state-led tourism venture, which worked very similarly to Tax Increment Financing here in Portland: it fueled urban renewal throughout much of Old Havana back in the 90s, developing hotels, restaurants, and boutique shops. Like TIF, the profits were reallocated back into the districts to revitalize public spaces and improve roads. 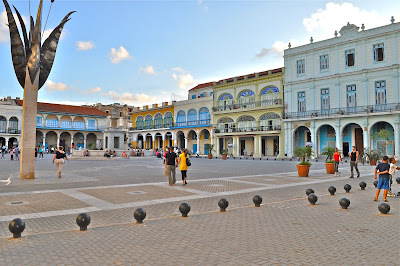 Its successes were quite evident in the stark contrasts between the beautiful plazas found throughout Old Havana and the buildings on the verge of collapse in neighboring districts. Well done, Castro. Interestingly enough, despite the amount of development occurring in Havana, there was absolutely zero demolition projects. 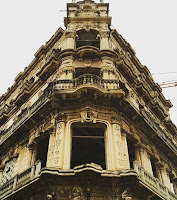 My cab driver explained to me that there is a shared conventional wisdom among Cubans that old buildings must be preserved. Historic preservation and adaptive reuse ruled the urban landscape. Not far from our house was one of Havana’s most successful adaptive reuse projects: El Cocinero.In what used to be an old oil refinery, El Cocinero is now one of the city’s premier dining experiences. In addition, Fábrica de Arte Cubano, a world-renowned venue for art, theater, film, music, and design. Sorry, but it put our own Gerding Theater to shame. Having the opportunity to visit Cuba in its forbiddenness was one element of excitement during my stay. However, in my two years working with First Stop Portland, I have listened and learned from our experts here, as well as from many experts abroad . Having that knowledge and observation to bring with me to this truly fascinating city left me with an experience that I’ll never forget. 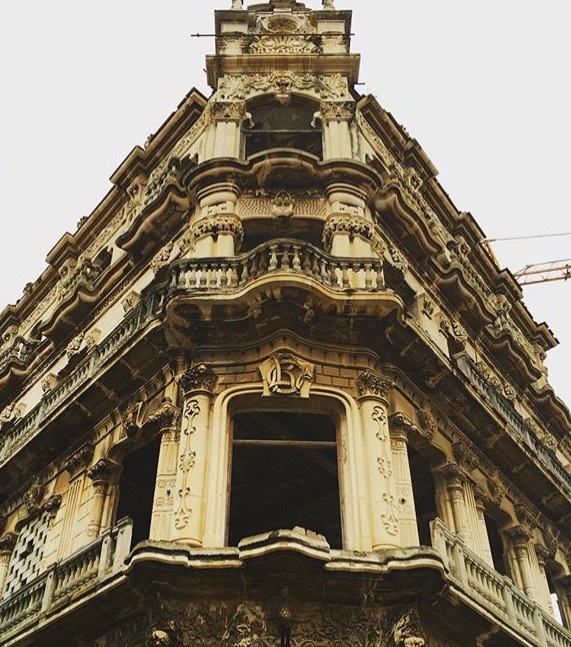 It will be very exciting to see what will change and what will stay the same in Havana as it begins to open its doors to a rapidly urbanizing world. Who knows, maybe First Stop Portland will host its very first delegation from Cuba? Who has time to read newletters? Subscribe to "The Weekly Post" for the best ideas from Portland's 'Green Brain Trust' and experts from around the globe.